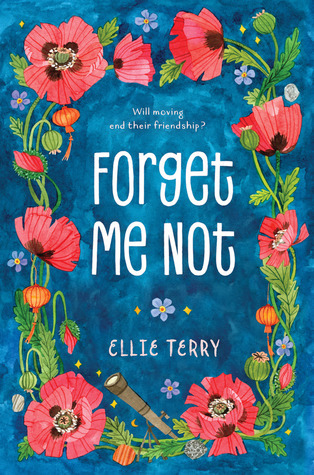 Forget Me Not by Ellie Terry, Feiwel & Friends (March 2017). Written mostly in verse, FORGET ME NOT will appeal to readers not only for its poetic language, but also because of the story told in alternating voices of Calli, a girl with Tourette Syndrome, and one of her classmates, Jinsong. Calli is constantly on the move because of her mother’s unfortunate choice in men. She decides that this time, she will not to tell anyone that she has TS and hopes for a fresh start, but it doesn’t take long before her tics are causing the kids in her class start to call her a freak. Jinsong is drawn to Calli from the start, but finds it difficult to stand up for her when she is bullied. As Calli’s mom gets drawn into another relationship that Calli fears will be her undoing, is there any hope she and Jinsong will be able to develop their friendship before her mom decides its time to move on? Although I’m not usually a huge fan of novels in verse, the alternating voices and my sympathy for Calli’s lack of control over her life sucked me in. The author has Tourette Syndrome, and the characters were believable and reflected her personal experiences. The verse makes this book a quick read, and expands it audience reach. I’ll be keeping my eye open for more from Ellie Terry!